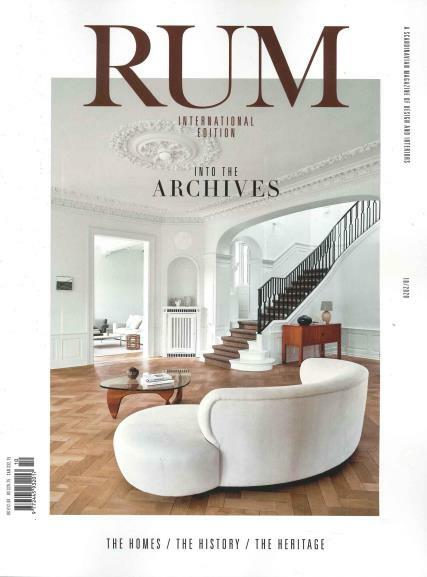 Rum Review is an international interior design magazine featuring inspiring architectural photography, news and interviews. This is much more than a magazine it is a collectible item. Rum Review is very much rooted in the Scandinavian way of life, but with an international scope. Featuring unique homes that have style and personality. Rum works with the most celebrated photographers, stylist and writers. They are the first with new trends and tendencies. Interviews with prominent and up and coming designers feature. Look no further than Rum as the leading authority for design, style and architecture. A beautiful and wonderful magazine. More of where this came from. Thanks.